The Cutting Room is a creative hair designers with salons in Streatham & Westcliff. As more consumers turn to online reviews for the high street, the importance of an impressive shop window has never been greater. 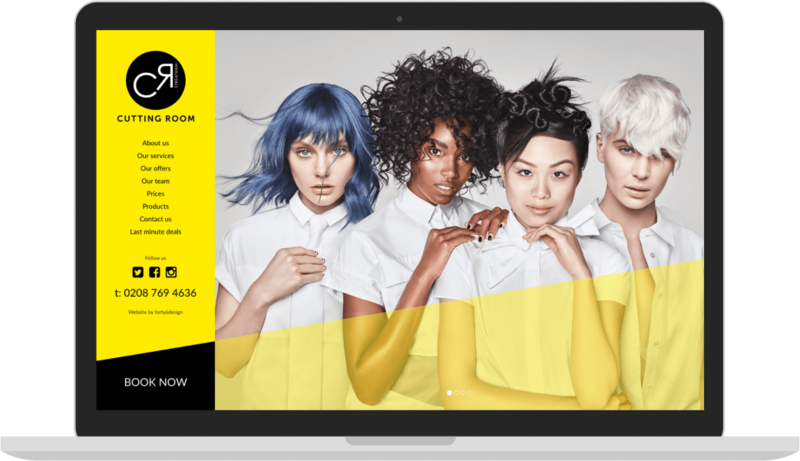 Designed by our partners Forty6Design, The Cutting Room website features a rich UX with a beautiful design that intuitively takes the user through logical steps to showcase the best of what the salon has to offer. 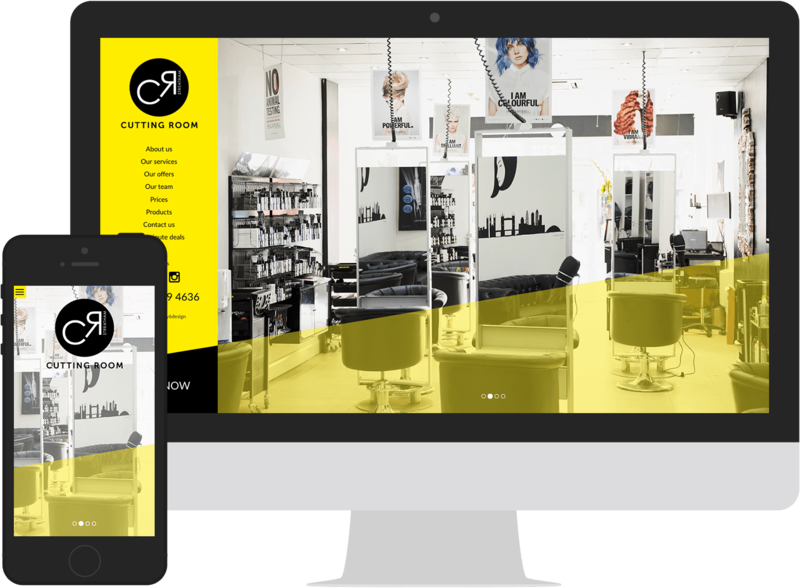 Using sweeping cuts and angles the website draws parallels to the service sector, whilst the modern single page design means the website is both quick to load and easy to navigate on any device. The website runs on the popular WordPress framework, making use of custom fields within the CMS to allow the administrators to quickly and easily update the content including the pricing tables. With a fluid framework (using Jquery and @media CSS) the website adapts to the screen height allowing a seamless ‘fit-to-screen’ resize which then adapts by percentage across any type of device or screen size. As more consumers turn to online reviews and searches to find services, it’s becoming more important to have an excellent online shop window. 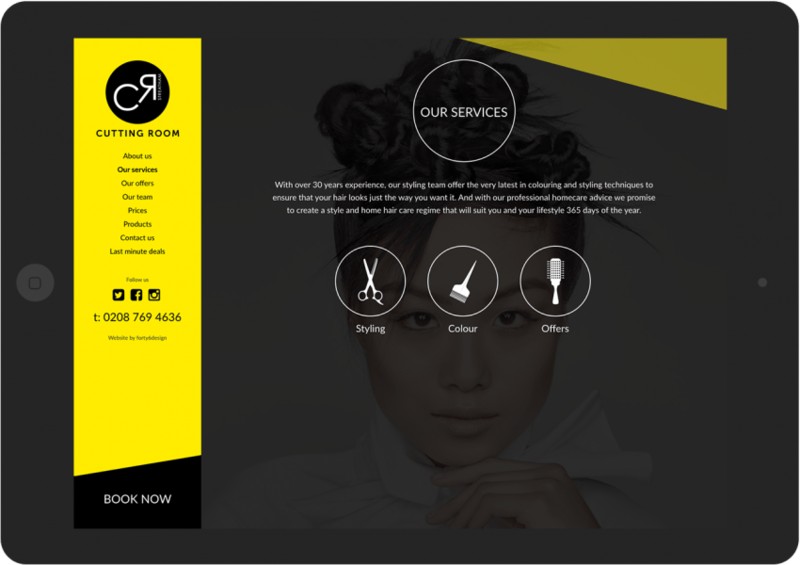 With it’s modern design, and rich use of colour and angles, The Cutting Room website projects professionalism and style.